The leaves are turning and it gets a little bit colder every day. 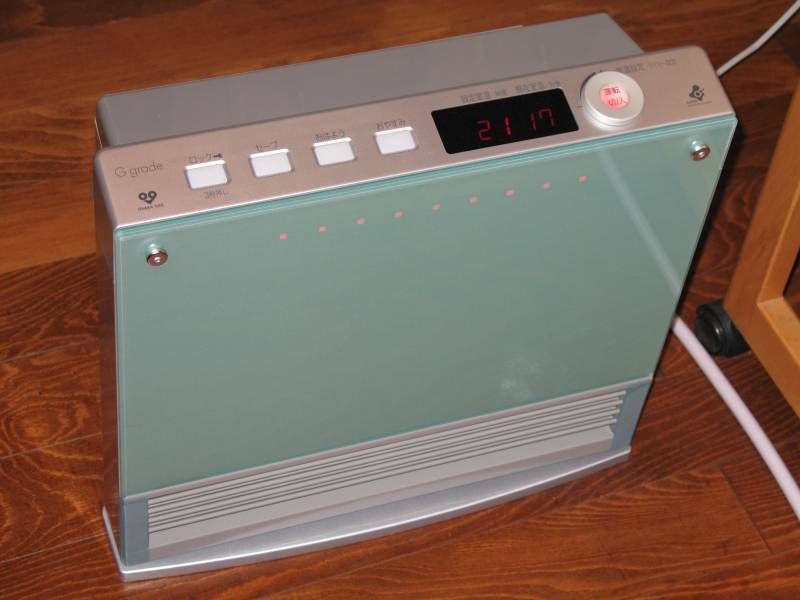 I bought a “gas fan heater” – a natural gas heater – and as Japanese homes have next to no insulation, I’ve been putting it to good use. Here it is in all its glory. On Saturday, I made a trip to Kyoto. 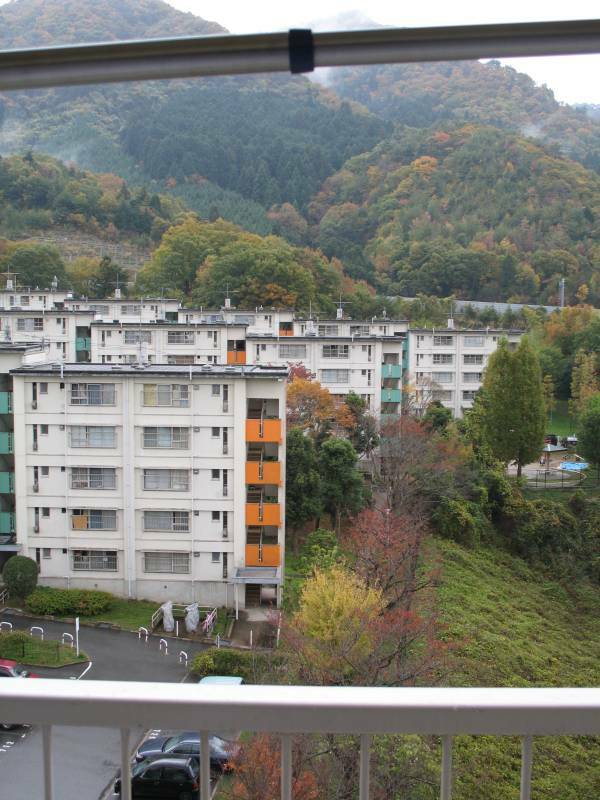 It was a bit of a last-minute affair; I didn’t start the 1.5-hour train ride until 10:00, but I wanted to see Kyoto in its autumn colors and the weather report said it would rain on Sunday, so I leapt at the window of opportunity. As it turned out, it started raining mid-afternoon on Saturday – earlier than predicted – so I didn’t get to do as much as I had hoped, but the trip was still well worth the trouble. I really only accomplished two things. I ate lunch and I visited a temple. Lunch was at a restaurant called Tagoto, in central Kyoto. [Edit: Tagoto’s website has been redone. The English portion is now just a page of text, but the pictures on the top page speak for themselves.] Tagoto is in an upscale shopping district and has a very narrow storefront (note that I ate at the original Tagoto, but there are also a few branch locations). From the street, you only see a curtained doorway and a sign, and I almost missed it as I walked by. My Japan guidebook mentioned lunch at Tagoto as a way to try high class Kyoto cuisine without breaking the bank. A meal for one was about $27, but that’s less than half what dinner costs, and the bill at this type of restaurant is often more than $100 per head. I could go into more detail, but to get the point, the food was outstanding. I mean really, really good. Wow. 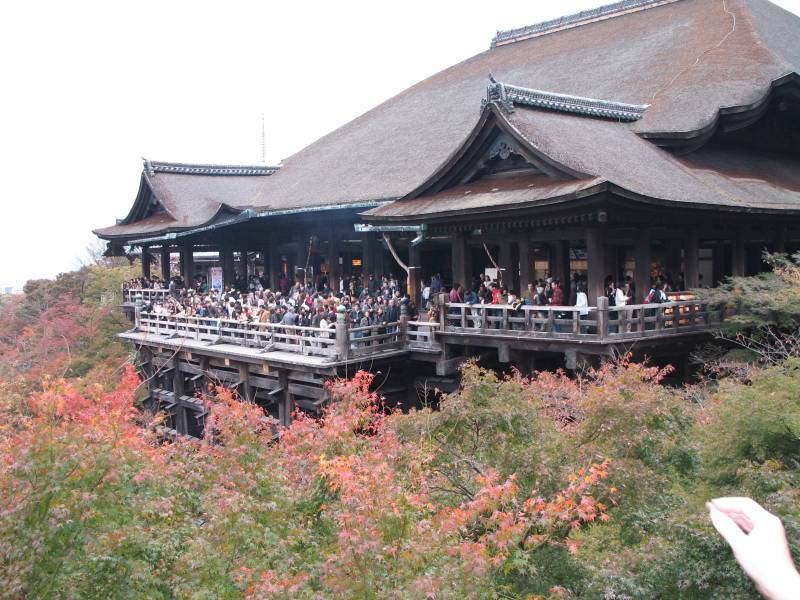 The temple I visited was Kiyomizu-dera, one of Kyoto’s iconic sites. 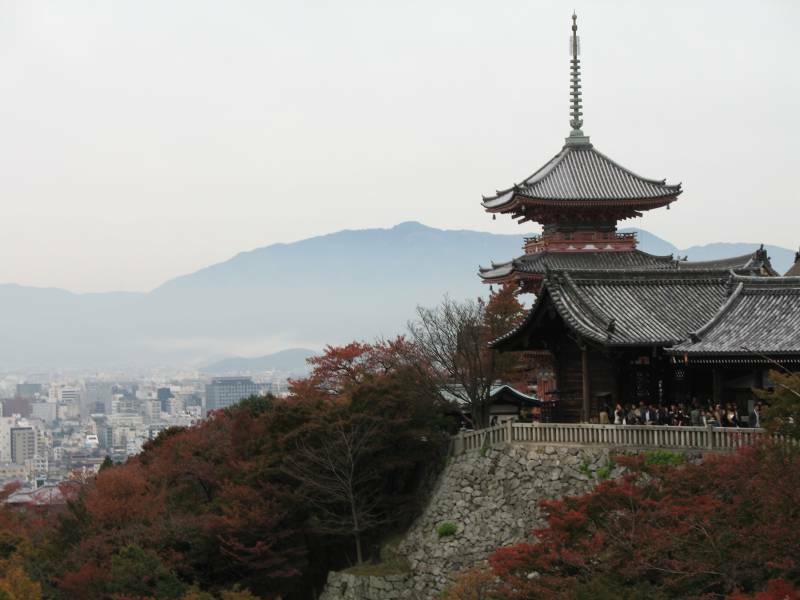 Kiyomizu means “pure water” (tera/dera = temple), and the complex dates from 778, when a Buddhist monk was led by a vision to a font of water, where he then founded Kiyomizu-dera. 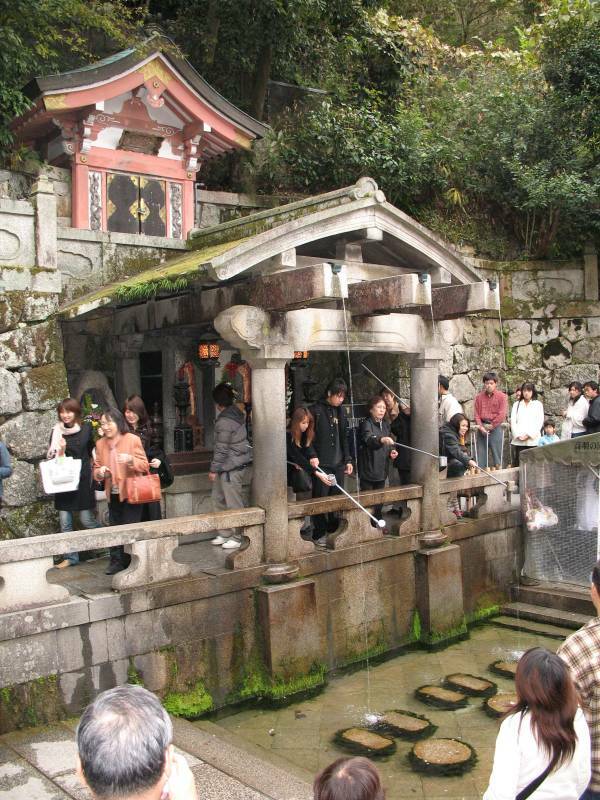 The temples were rebuilt in 1633, but the water still flows today, and is regarded as having curative powers. I didn’t wait in line for a drink, though. 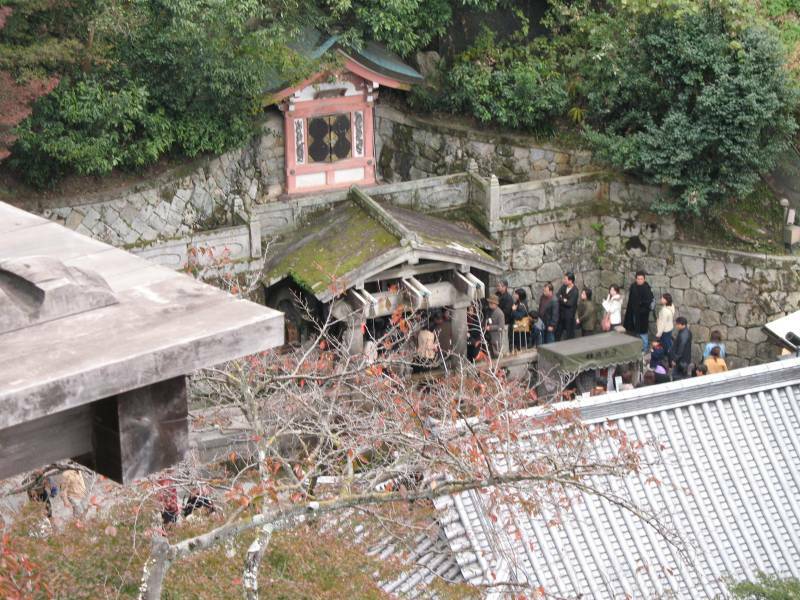 …which leads me Kiyomizu-dera’s most famous feature. 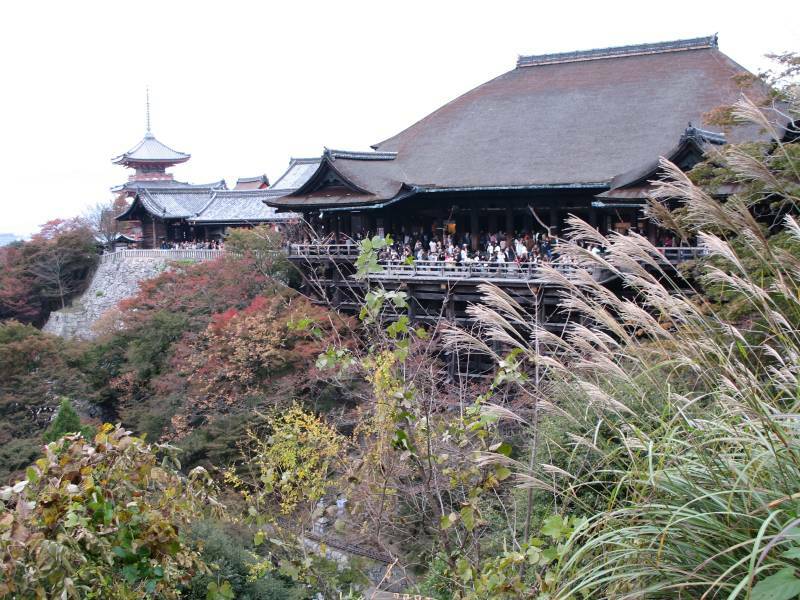 The main temple has a huge veranda that juts out over the hillside. There is a legend that if you jump off the veranda and survive, your wish will be granted. Apparently there were over two hundred recorded attempts during the Edo period (1600-1868), and the success rate was about 85%. Chances were no doubt improved by all the greenery on the slope. If you are particularly observant, you’ll notice that while the other buildings are constructed in the usual manner of Buddhist temples, the main hall has a thatched roof instead of tiles. I know that there’s a reason for it, but I’m not clear on the story. Something about a general receiving a mansion from the emperor and then dismantling it and donating the parts for the construction of the main temple. Okay, I need to wrap this up and get to bed, so that’s what I’ll do. Here’s one last picture. Notice of about the seminar was only sent to the Japanese English teachers who were assigned to attend, and they were each supposed to inform their school’s JET. The teacher representing my school forgot to tell me. He bought me lunch by way of apology, which was a nice gesture, and I was able to get to the venue on time, so everything turned out fine in the end. But yeah. Communication. Last Saturday, I had the Culture Festival for my second school, with the requisite teachers’ dinner-and-drinks party afterwards. The festival was alternately entertaining, touching, and painful (as I mentioned in my first post, my second school is for severely disabled students). Dinner was excellent, but really random: The courses were sashimi, salad, pasta with Italian sausage, fried chicken and French fries, and ice cream. The individual parts were all very good, but the resulting meal was a bit too uncoordinated. I’ve encountered that weird eclecticism in other multi-course meals I’ve had at restaurants here (for other teacher parties), but now that I’m thinking about it, I wonder if this case might be slightly different. The memo about the location for the party encouraged people who knew the restaurant to tell the coordinator if they had any menu items that they really wanted to eat, so maybe the dinner was made from requests rather than a fixed set of courses. That wasn’t the end of the bonding and face-stuffing, though. On Sunday, I went to a barbecue with a few of the teachers from that school. I had a great time, but that took up the rest of the weekend. The other teachers got Monday off in compensation for Saturday, but I go to my main school on Mondays, so no such luck for me. You are currently browsing the Erratic Dispatches blog archives for November, 2006.